Pastor Weatherspoon is an anointed young man with a big vision. His simplistic and humorous style of preaching and teaching the Word of God touches both young and old. 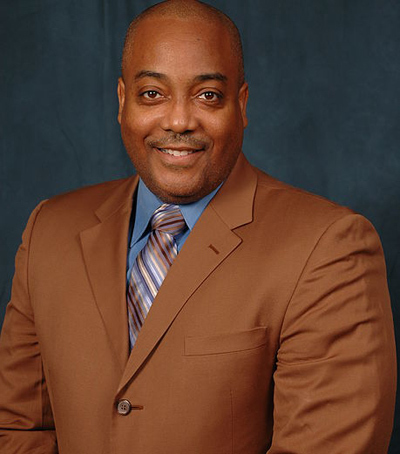 Pastor Weatherspoon holds a Master of Divinity Degree from Biblical Theological Seminary. The Lord spoke to Pastor Weatherspoon to begin a new work in Pottstown, PA and out of that he birthed Tabernacle Harvest Church, where he is the Founder and Senior Pastor. His desire for the ministry is to reach people with a relevant message that can be applied to every walk of life. Pastor Weatherspoon is a true man of integrity who loves seeing the people of God healed, delivered, and set free. He has developed a love for foreign missions after visiting Kenya and living amongst the indigenous population. This experience has expanded his heart for International Ministry. Pastor Weatherspoon balances his life and ministry as the dedicated husband to Lady Crystal Weatherspoon. Pastor and Lady Weatherspoon are anointed and possess great vision for the people of God. With Pastor’s unique style of preaching and teaching the Word of God and Lady’s elegant and nurturing spirit towards the body of Christ, it’s no wonder they touch the hearts and spirits of everyone they come in contact with. Pastor and Lady Weatherspoon believe wholeheartedly that in Jesus Christ one can truly Experience: New Life, New Growth, New Everything!